Love, a native of Luxora, has made coaching stops at McNeese State and, most recently at her alma mater, Southern Miss. 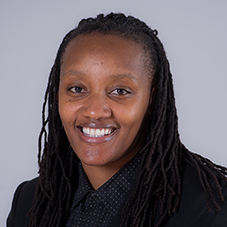 In four seasons with the Golden Eagles, Love’s duties included all aspects of recruiting, assisting in basketball camps, on-the-floor coaching working primarily with the post players in skill development, scouting opponents and film breakdown. While working at McNeese State, Love handled campus and off-campus recruiting, social media, marketing, coordination of camps and clinics, scouting, skill development and working with both the guards and post players. Love began her playing career in her hometown at Rivercrest and was so successful, Luxora declared July 15, 2016 as Pauline Love Day. She played one season at Jones County Junior College where she became the school’s first NJCAA All-American in more than a decade. That success was the springboard to her career at Southern Miss where she played for three seasons. Her collegiate honors include All-Conference USA First Team (2008, 2009, 2010), Conference USA All-Tournament Team (2009), Lady Eagles Classic MVP (2008), Lady Eagles Classic All-Tournament Team (2008) and Junior College All-America Second Team (2007). She finished her career averaging 16.5 points per game and 11.5 rebounds per game. Love scored 1,909 career points and grabbed 1,339 rebounds. After her 2010 graduation from Southern Miss, Love played one season in the WNBA for the Connecticut Sun and for the Cote d’Opale Basket Calais professional team in France.